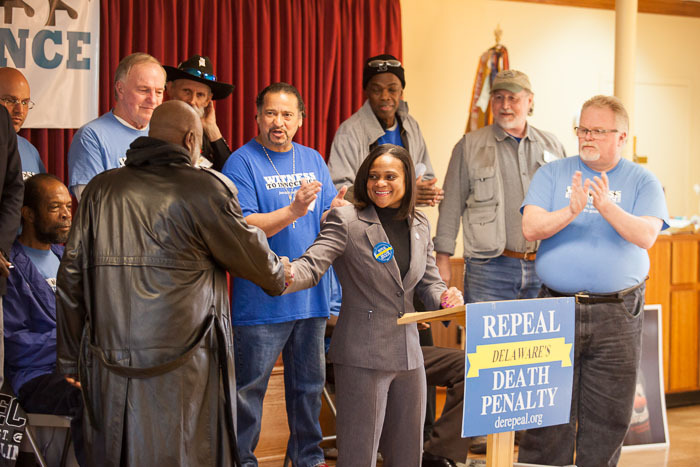 I was recently in Wilmington, Delaware to document a weekend's worth of work by Witness to Innocence and the Delaware Repeal Project, to move the state closer to death penalty abolition. 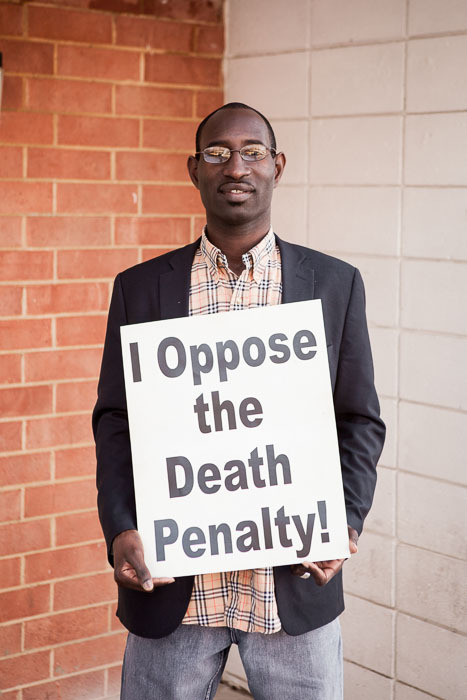 Witness to Innocence is an organization of death row exonerees who were freed from death rows around the United States because of their actual innocence. 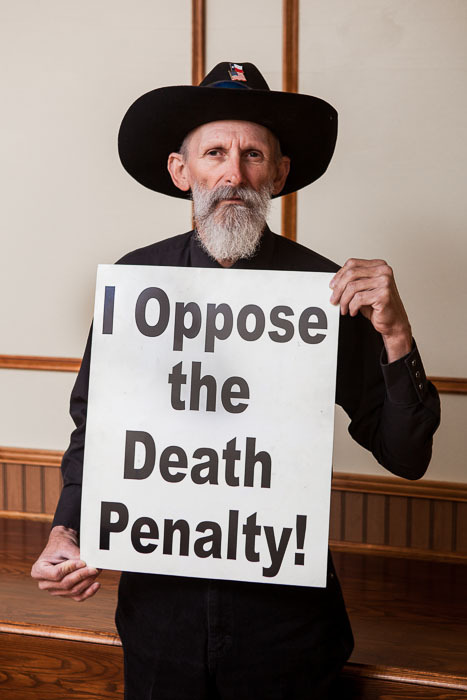 They were here to tell their stories to the public, the press, and to area churches, in hopes of making Delaware the 7th state in 7 years to end the practice of executions. 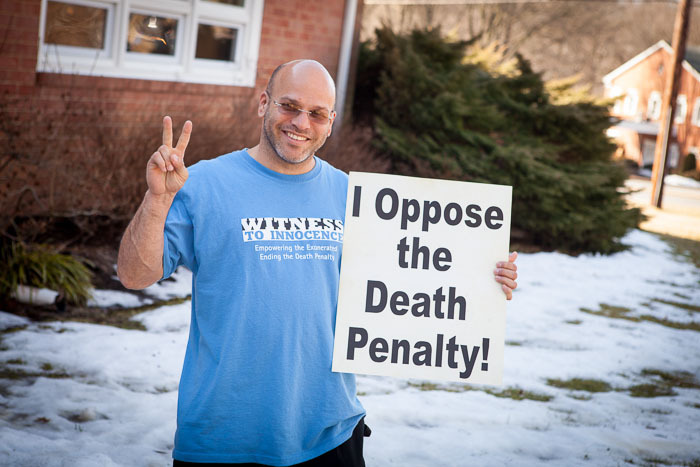 There were many powerful moments during the course of the weekend, but perhaps none tops when I witnessed a woman approach death row exoneree Ron Keine following his speaking briefly during a Sunday Mass, and said to him, "I supported the death penalty before, but after hearing your story, I no longer believe in it." She then signed a postcard to be sent to her legislator. Even if that was the only example of a victory this weekend, then I'd say it was all well worth it, and a success. 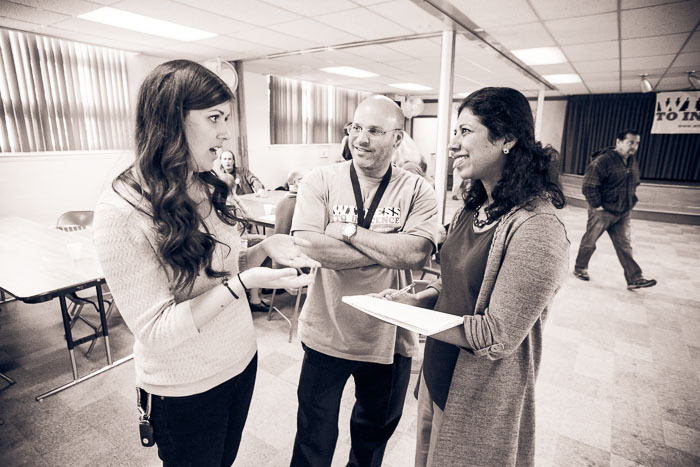 At the same time as these efforts, the Delaware Theatre Company coincidentally was also performing the play, "The Exonerated." Selections from my "Timeline of an Execution" series were on exhibit for the opening of the play, and will continue to be on exhibit through the end of this weekend (closing March 9). Below are some highlights from the weekend. 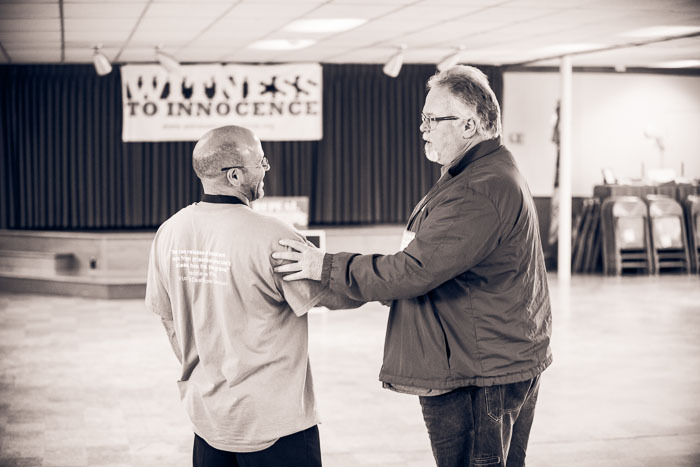 Maryland death row exoneree Kirk Bloodsworth (right) chats with Seth Penalver, Florida's newest survivor from death row. 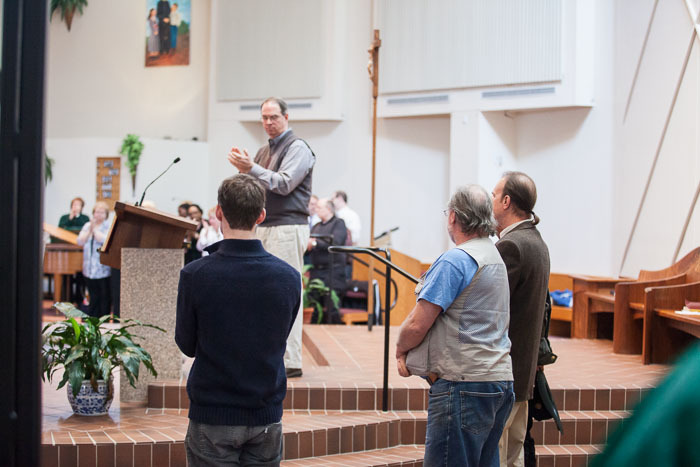 A church member greets Ron Keine while Ray Krone looks on, to thank the men for their message of triumph during the morning church service. 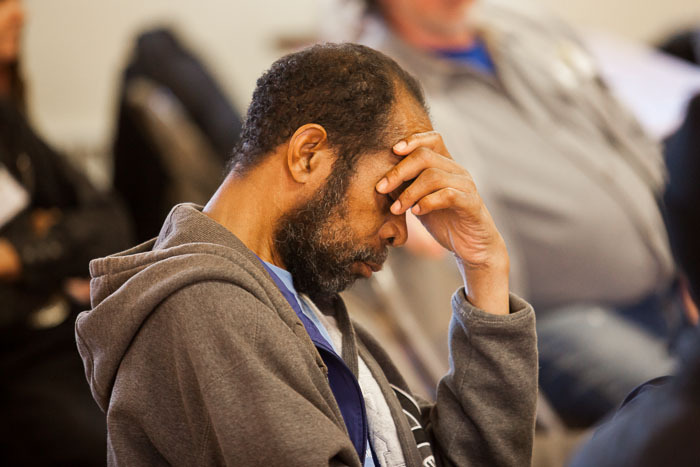 David Keaton, a death row exoneree, takes a moment during a legislative information session before a long day of public events. Albert Burrell, death row exoneree from Louisiana. Seth Penalver, death row exoneree from Florida. 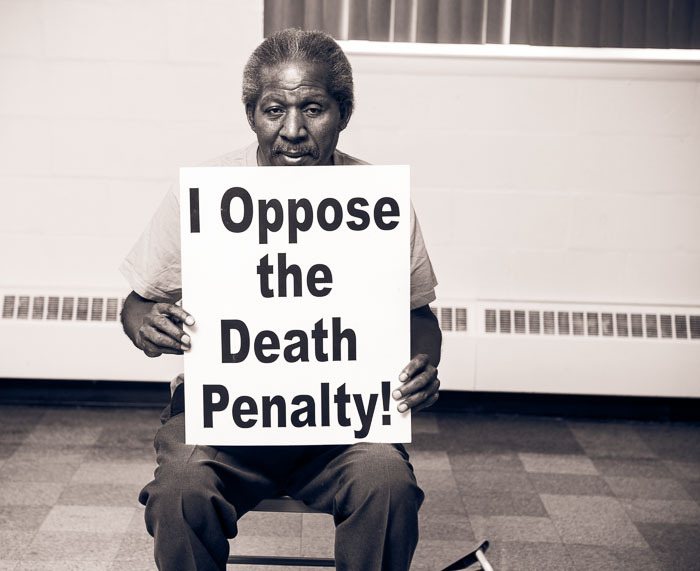 Clarence Brandley, death row exoneree from Texas. Shareef Cousin, death row exoneree from Louisiana. 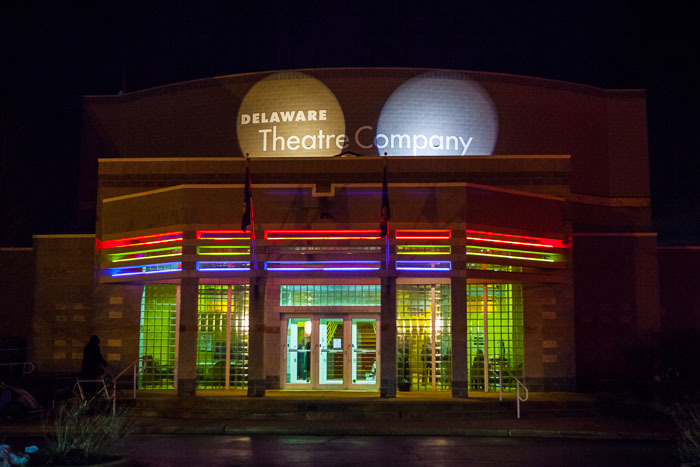 Friday night at the Delaware Theater Company. 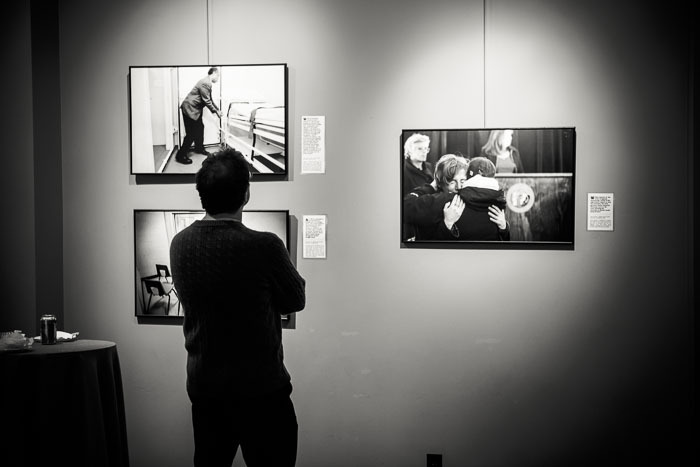 "Timeline of an Execution" exhibited at the Delaware Theater Company in conjunction with the play, "The Exonerated." 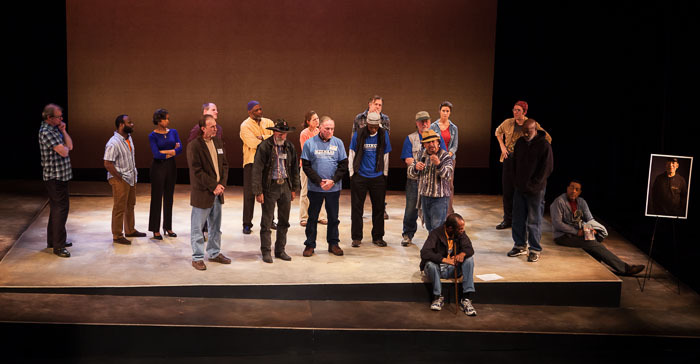 The real exonerated come out on stage, backed by actors, at the finale of the theatrical production of "The Exonerated." Press conference with Witness to Innocence exonerees. 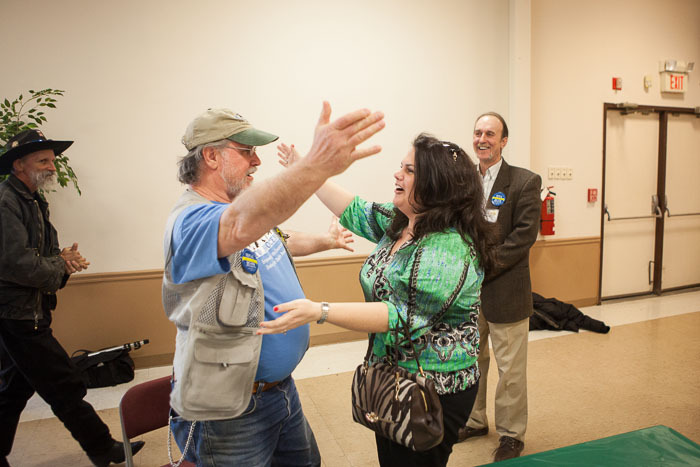 Anna Schuck (left) of Delaware Repeal, and Seth Penalver (center) talk to an attendee of a public event in Wilmington. 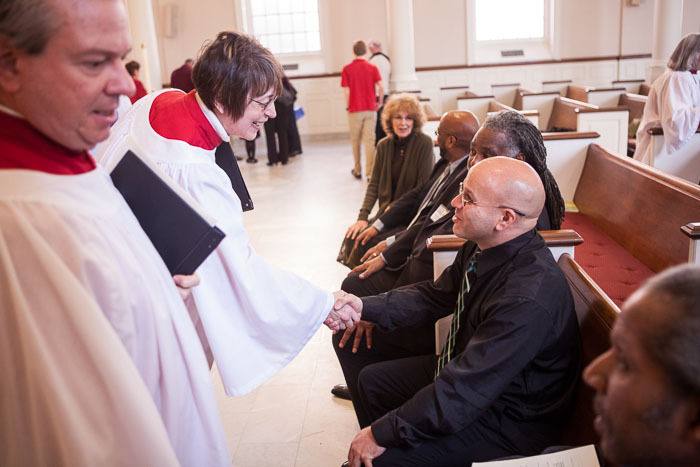 Death row exonerees are welcomed at a Sunday morning mass. 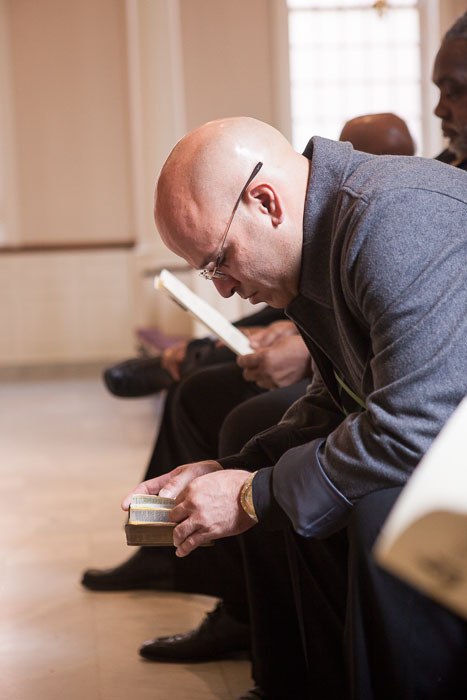 Florida death row exoneree Seth Penalver bows in prayer during a Sunday morning church service downtown. 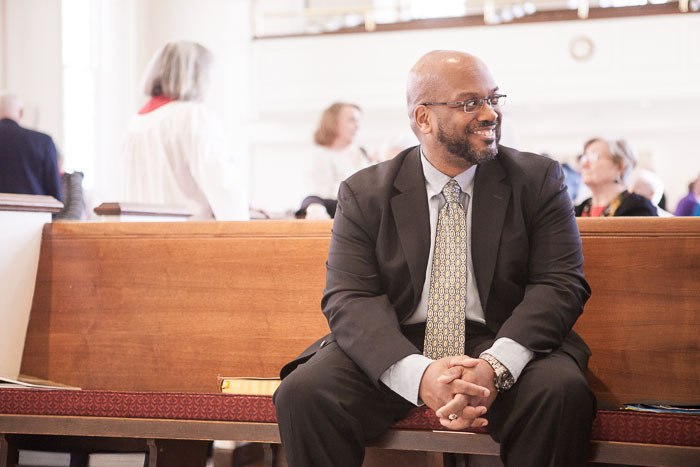 Witness to Innocence's executive director, David Love, at a morning church service. Church choir members come out to greet the death row exonerees in attendance. 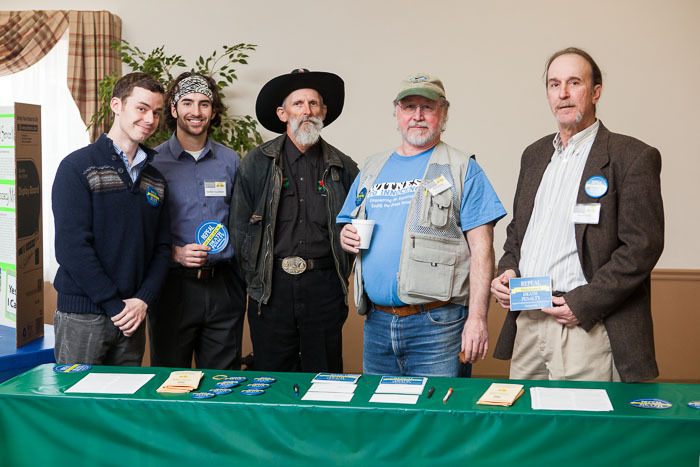 Delaware Repeal Project staff (two at far left) join Albert Burrell, Ron Keine, and Ray Krone (all death row exonerees), at a church fair following a Sunday morning service, to gather signatures and contact info for the abolition efforts. 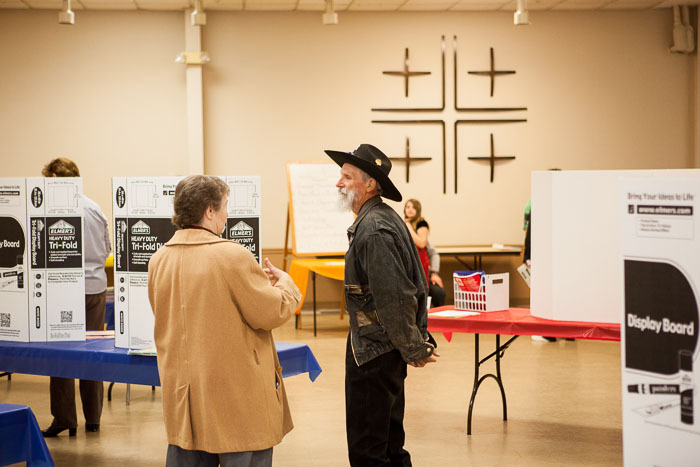 Albert Burrell, exoneree from Louisiana, chats with a woman during a church fair. 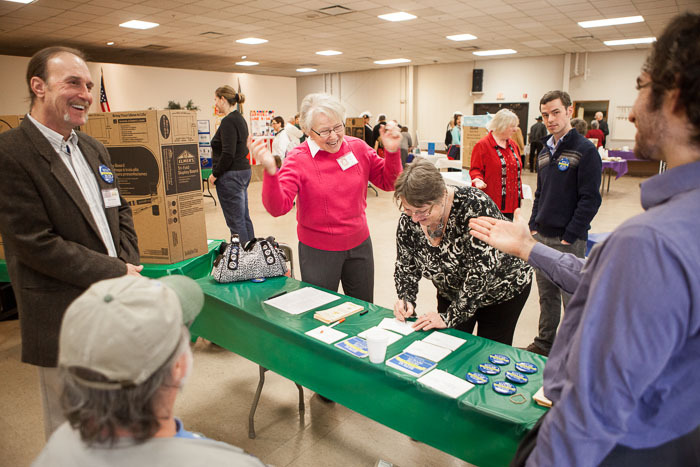 Church members sign postcards to be sent to legislators supporting repeal. 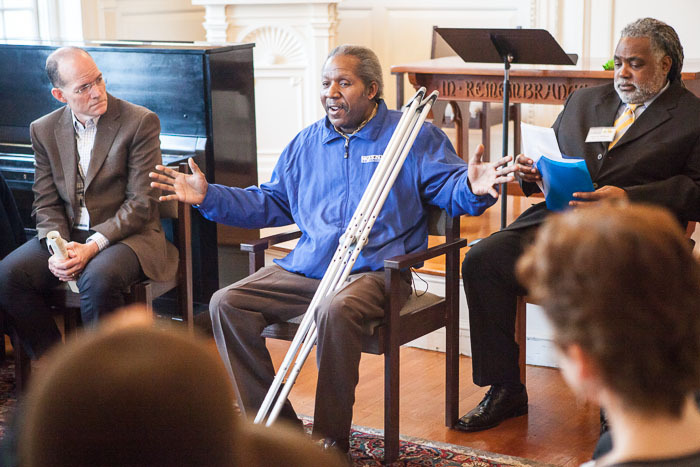 Clarence Brandley, death row exoneree from Texas, speaks after church to a small group of interested members, while Harold Wilson (right) awaits his turn to tell his own story.